Our good friend and colleague Pauline Golec is a native Lowellian who, for many years, has done much of the behind-the-scenes work that goes into producing the city’s festivals. If you’ve come to the Lowell Folk Festival and enjoyed the enticing array of ethnic food for sale by community groups, you have Pauline to thank. 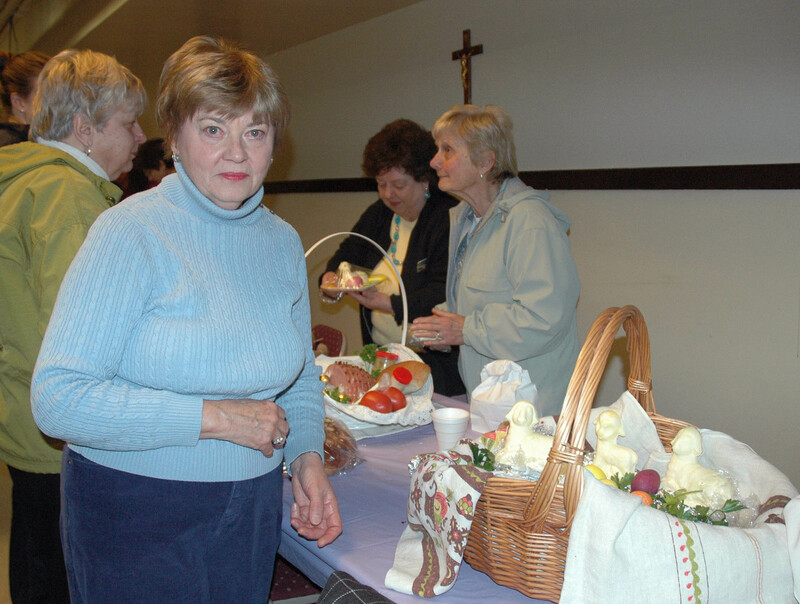 Pauline is also a long-time member of Holy Trinity Parish, the designated mother parish for the Polish Community in the Merrimack Valley. So it made sense that we pay attention when she alerted us to a local Polish tradition at Holy Trinity. 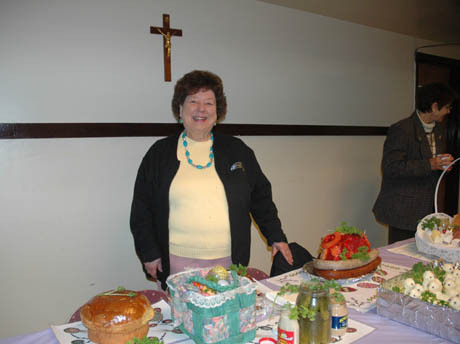 Having cleared things with the monsignor, Pauline invites us to the “blessing of the food,” which is done on Holy Saturday at 9:00 a.m. and 11:00 am. We arrive shortly before nine and see a gathering of parishioners. Though we spot a few children, most are older individuals. 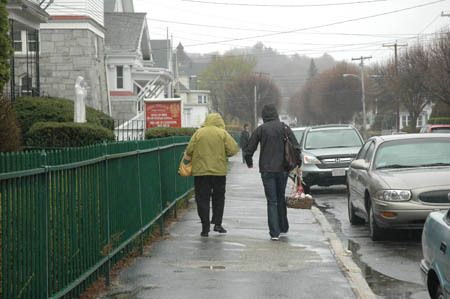 Some have grown up in Lowell’s Polish neighborhood; others are more recent immigrants from Poland and Russia. 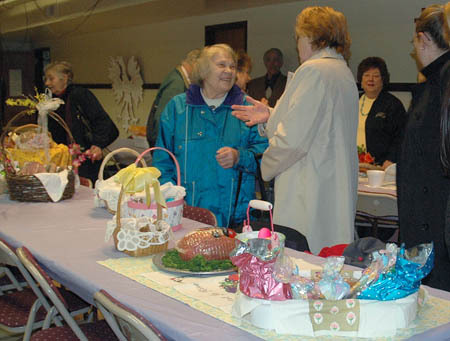 All have brought baskets of Easter food to be blessed. 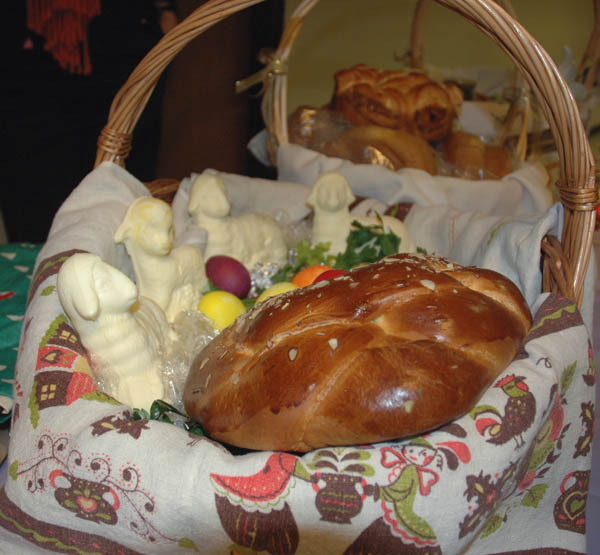 It doesn’t take long to see the similarity of food items filling each basket — eggs, ham, kielbasa, horse radish, pickles, mazurek, (traditional Polish Easter cake), babka, (a sweet yeast bread), and butter lambs (wee lambs made of molded butter.) 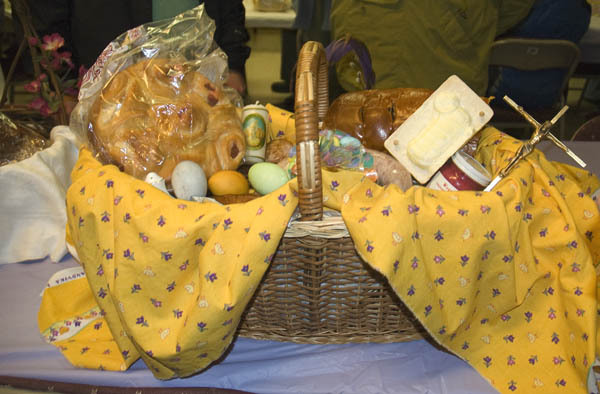 When asked, individuals talk about how each of these foods represents the meaning of Easter. 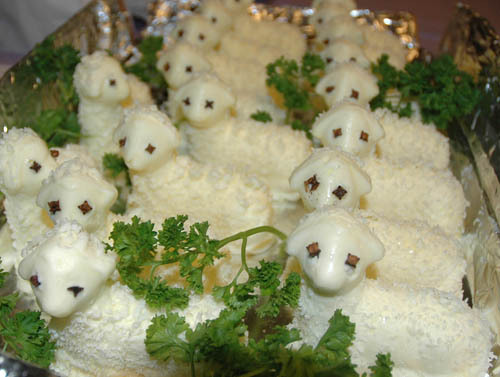 The butter lambs represent Jesus, the lamb of God; the eggs symbolize life and Christ’s resurrection; salt his purification; horse radish, his bitter sacrifice; ham and kielbasa the joy and abundance of life. 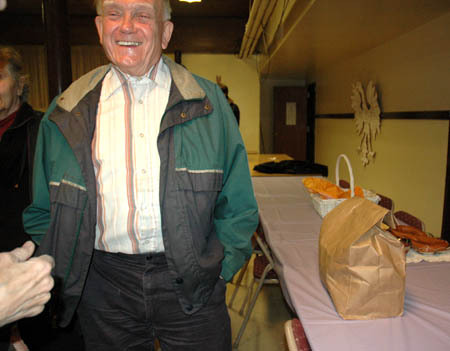 There was a time when the Polish Catholic priest would visit each house to bless the food in Lowell’s Polish neighborhood. Not unlike the family physician making house calls, this is a thing of the past. Instead, the people come to the priest. 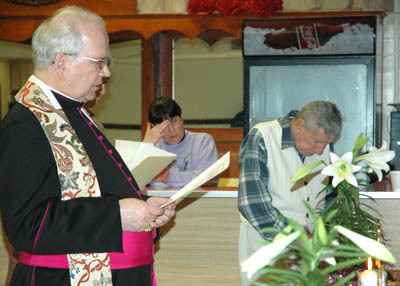 “Peace,” says Monsignor Stanislaw Kempa. Someone claps hands loudly to get everyone’s attention. 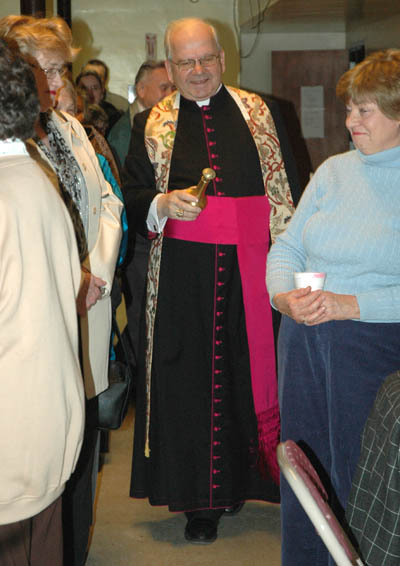 Monsignor Kempa delivers the special prayers for blessing the food, first in English, and then in Polish. When he announces, “Happy Easter. 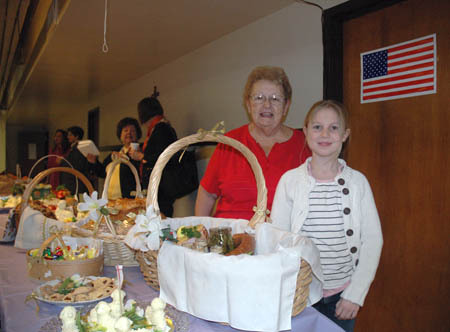 Hallelujah,” and procedes to sprinkle holy water while walking in amongst the assembled whose baskets of food line long tables throughout the hall. There is more visiting, exchanging of news, and cups of coffee. And then it is time to go home, blessed food and baskets in hand.